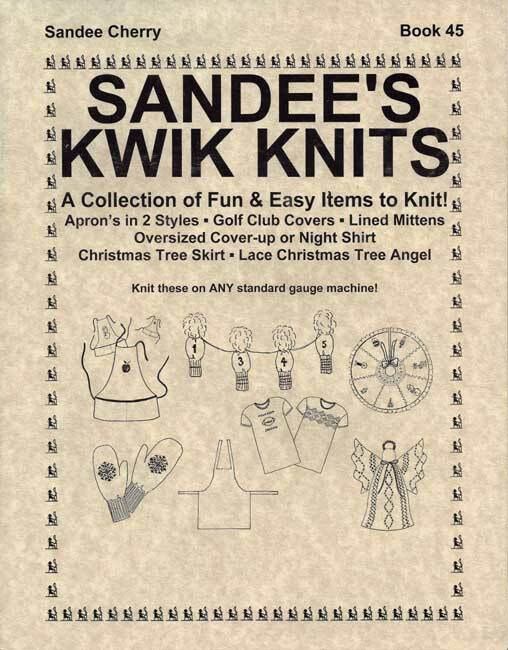 Includes Apron with Pockets in Three Sizes (Doll, Child & Adult), Chef Apron Without Pockets, Lined Golf Club Covers, Christmas Tree Skirt, Lace Christmas Angel, Lined Mitten (Childs & Adult), Juniors' and Women's Oversized Cover-up or Nightshirt. The directions are very easy to follow and most take only a small amount of yarn and time to knit! Designs are not included.